Every time you start to play with virtualization or have to work with it, you must check if your processor has virtualization support. This feature is helpful, because you can improve the guest/vm performance. Instructions are trapped and emulated at the hardware level (Intel® VT-x/VT-i and AMD-V™). This means that a guest can run without specific modifications to allow for virtualization. Most of the times this feature is disabled from the bios, and you have to enabled in order to take full advantage of the processor capabilities. 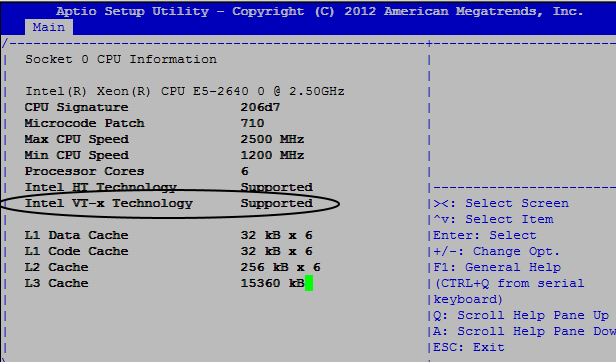 For example in a Sun x6270 Server, we can review the information from more /proc/cpuinfo. This a common way that many sites and blogs recommend. After digging into google, I found this article. So I think we are good :). Another tool that I found useful and interesting during this research was virsh. This documentary is a must see, for every food lover. 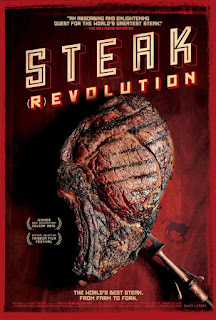 This french documentary from 2014, tries to search in a worldwide trip, the best piece of meat. France,Spain, Italy, Argentina, Brazil, USA and Japan are part of this adventure that includes a complete ecosystems of chefs, farmers, butchers, food critics and writers, that provides a diverse and rich point of view for such a noble and challenging task. Mientras finalizaba mis estudios de Ingeniería Civíl Informática, estuve trabajando como freelance, para una productora de cine , en mi ciudad natal, Valdivia. Daba asesorías en el aspecto informático, colaborando en la mantención de su infraestrura tecnológica. La productora Jirafa, lleva años haciendo cine, desde este rincón del mundo, amigable , sereno y quitado de bulla. El realizar cine independiente y de calidad no es tarea fácil y mantenerse vigente durante todos estos años es meritorio, para una ciudad de 200.000 habitantes. Me siento orgulloso de mi ciudad, que se ha forjado un sitial en el aspecto cultural de mi país, con iniciativas como el Festival de Cine de Valdivia, entre tantas muestras artisticas, así como tambien el museo de arte contemporáneo. Les dejo una muestra del trabajo de esta productora y espero que tengan la oportunidad de conocer mi ciudad en todos sus aspectos (cultural, gastrónómico y turístico). El trabajo es del director Valdiviano Cristian Jimenéz . Ilusiones Ópticas from Jirafa on Vimeo.